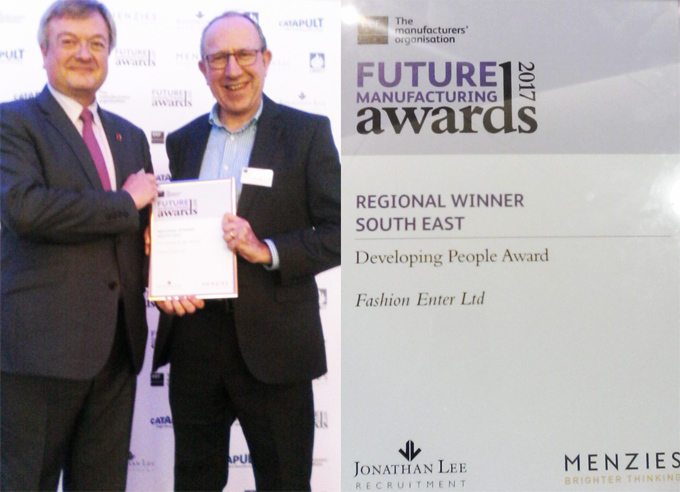 Fashion Enter’s educational division – the Fashion Technology Academy (FTA) has gained the Developing People Award at the South East division of the EEF Future Manufacturing Awards. Held on the 9th November 2017 the regional lunch took place at Epsom Racecourse where a variety of manufacturers, all passionate about production in the UK were in attendance. Representing Fashion Enter and the FTA was our Head of Compliance and business mentor Nigel Rust (pictured right with the award). 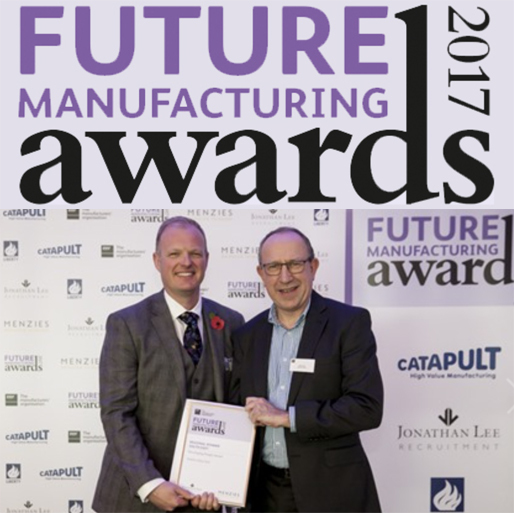 The EEF Future Manufacturing Awards celebrates industry success, rewards change, builds on partnerships, progresses ideas, develops good practice and invests in people. The Developing People Award In partnership with Jonathan Lee Recruitment recognises those that have done the most to build skills, harness talent and develop employees. The presenter stated that Fashion Enter had identified the need for greater training of its own existing and future staff and the general needs of the sector. To tackle the ongoing skills shortage in garment production Fashion Enter set up the Fashion Technology Academy to train people in-house and for external fashion businesses. The EEF commended how the FTA had achieved its main goals in such a short space of time. To find out more about the EEF and what they do click here.